It’s almost 40 years since Dolly Parton derided the idea of working ‘9 to 5’ and it seems that Londoners have finally got the message. With the self-employed set to overtake the public sector for the first time, and even those in regular employment working more flexibly than ever, traditional offices are in decline. 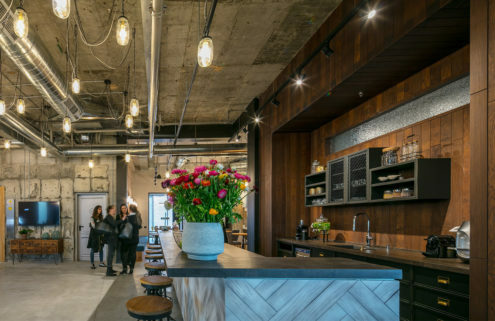 There’s only so long anyone can coffee-shop-hop, so a new breed of work spaces is stepping up to meet the demand. 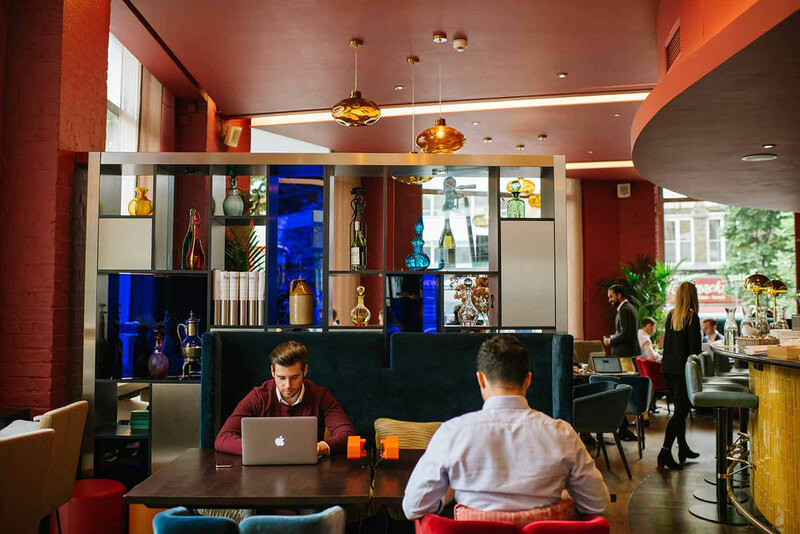 Combining the benefits of café culture, members clubs and serviced offices, these 12 London coworking spaces offer something for everyone. 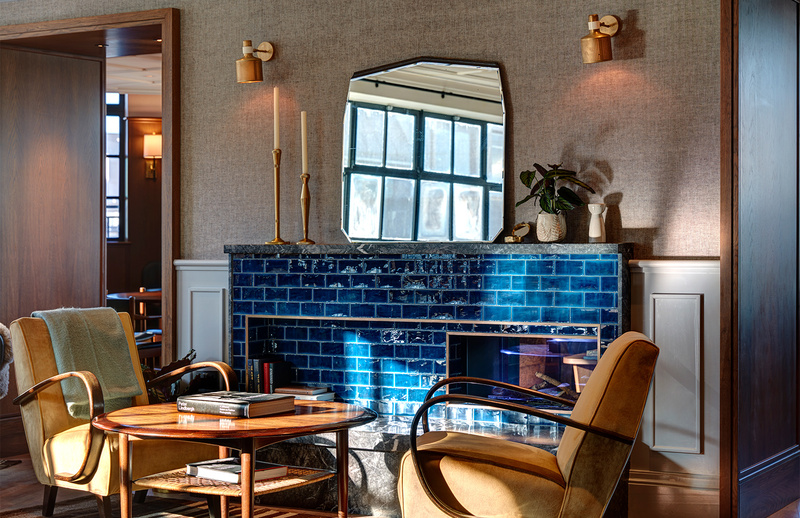 Soho Works is the coworking arm of members club Soho House, created for ‘people that want dedicated workspace and also appreciate Soho House’s design, functionality, friendly service and attention to detail,’ says creative director Tanya Wood. Expect vintage and contemporary furniture, including Victorian dining tables, mid-century sideboards and chandeliers. Its 16,000 sq ft space inside the Tea Building is open 24 hours a day, seven days a week and offers a café and concierge desk. Soho Works also pops up at 180 The Strand during London Fashion Week, offering the fashion pack a dedicated place to work (free of charge) between the shows. Next up is a Soho Works LA, coming soon. 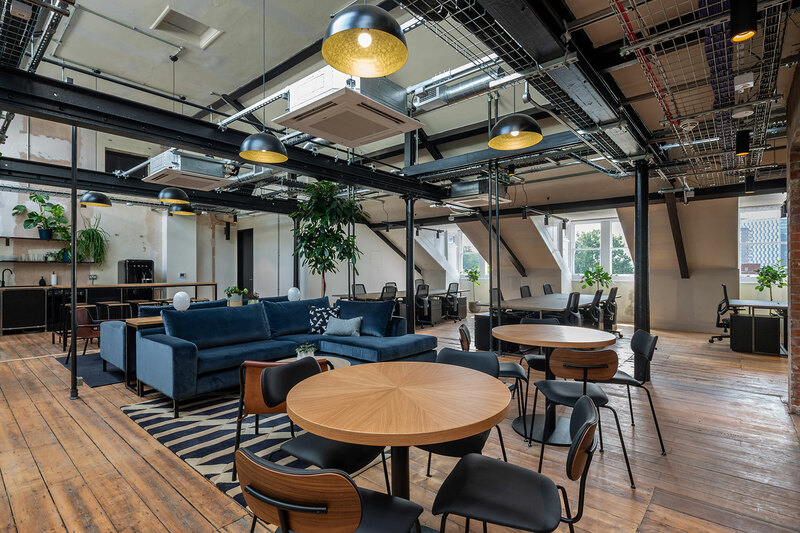 Media and music industry workers can find themselves a south London home at this refurbished Victorian printworks, opened by the Ministry of Sound. 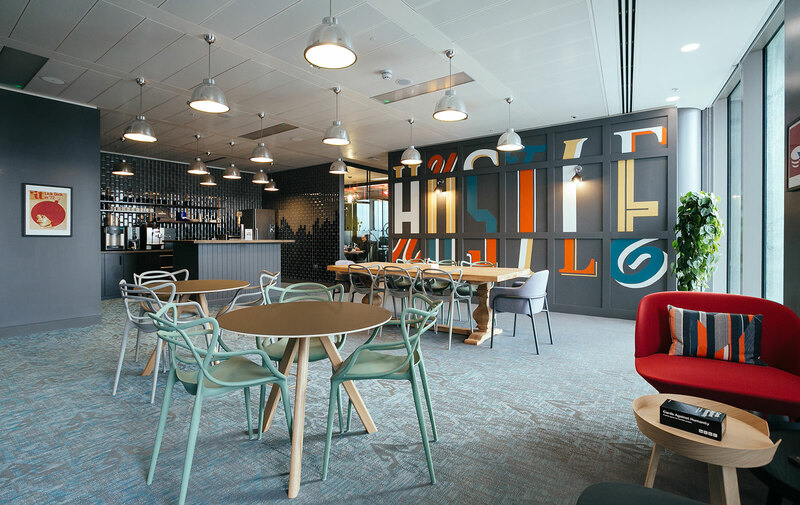 As well as the usual meeting rooms and desk spaces, the London coworking space offers a few extra touches – including an on-site recording studio and a tequila bar in the ladies toilet. 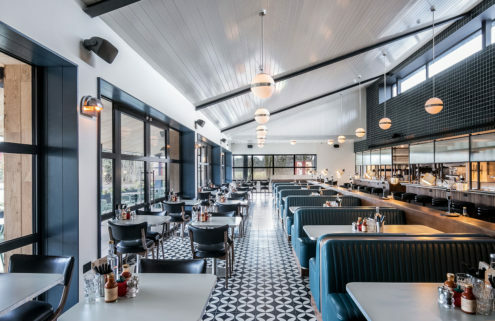 Refurbished by local studio Squire & Partners, The Ministry is all exposed brick and metal beams, harking back to the building’s industrial past. Until its recent renovation, the marble mosaics, plaster mouldings and terracotta ceilings of this seven-storey block had been hidden beneath unassuming office interiors. 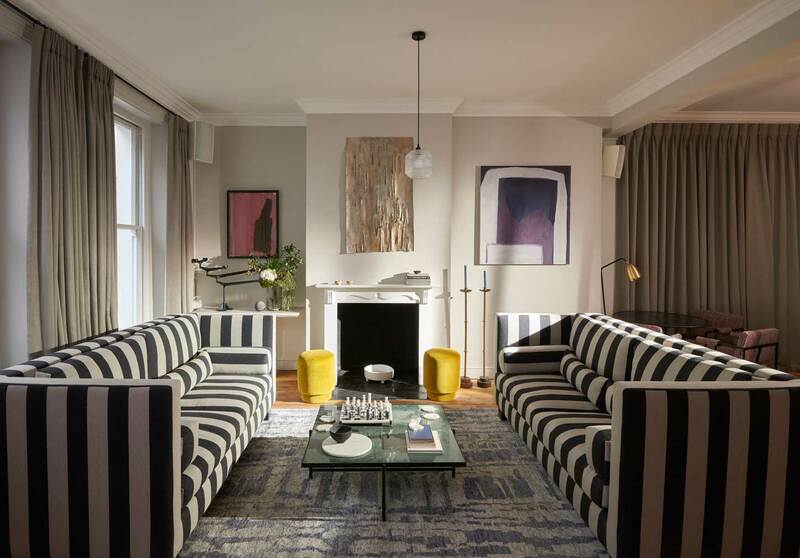 New York architecture studio AvroKO has lovingly restored Mortimer House’s Art Deco details, turning it into a London coworking space with a focus on hospitality and wellness. Members can order ‘room service’ to their desks, relax in a Mad Men style fifth floor lounge, and enjoy access to yoga and fitness classes. There’s even a meditation room for those extra stressful days. This all-female coworking club inhabits a converted Georgian townhouse, and offers desk space as well as a place for women to meet up and collaborate. 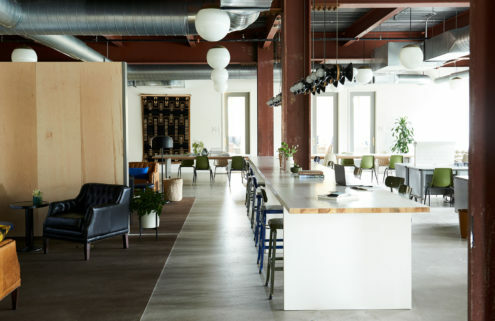 The interiors are about as far away from the classic corporate office as you can get, and are replete with velvet sofas, wooden floors and wall hangings. 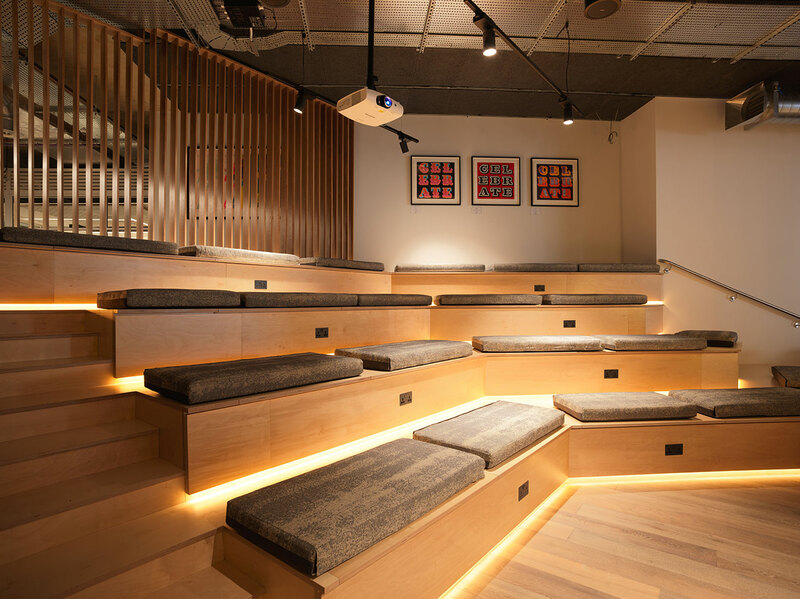 As well as a programme of on-site events, The AllBright has its own fitness studio, as well as a beauty and treatment room. 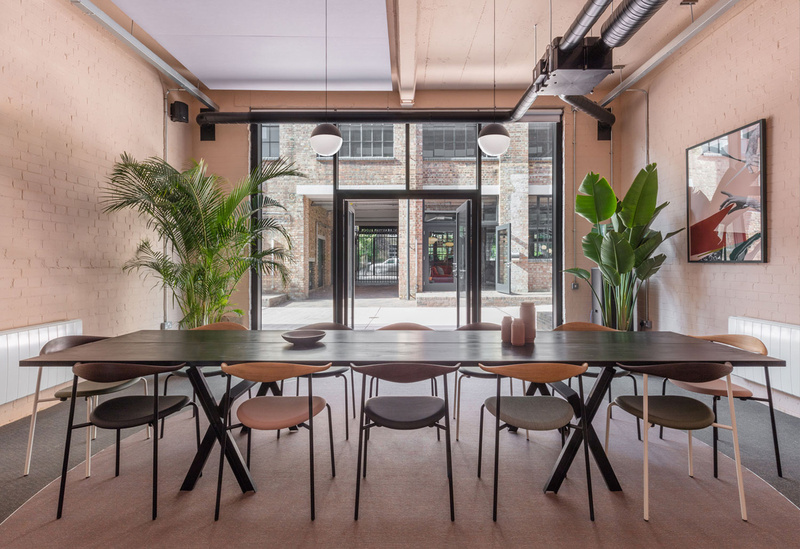 Dominated by pastel pink and filled with plants, this coworking space is sure to appeal to anyone looking for an office upgrade. 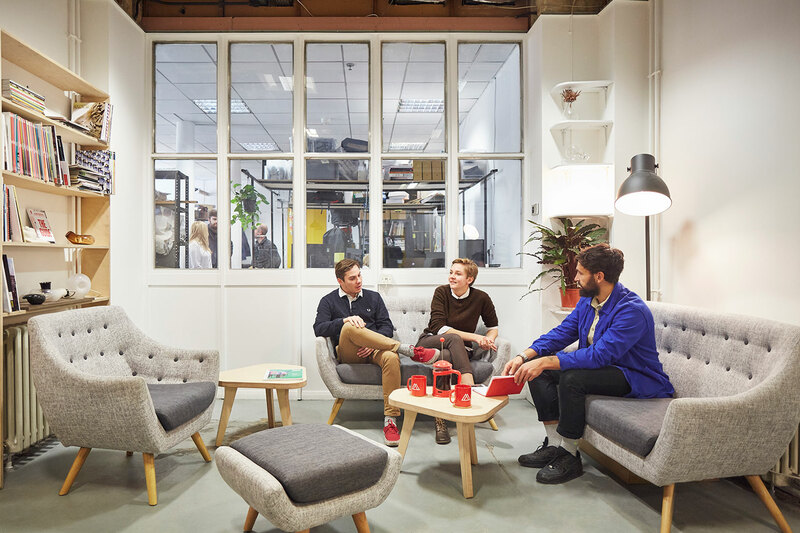 It’s a more relaxed option than many other shared London coworking workspaces, with cane chairs and velvet sofas dotted about for casual meetings. There’s a downstairs boardroom for those all-important conference calls, as well as a cafe for lunchtime – stocked, of course, with rose-tinted teapots and tableware. With casual memberships starting at £100 a month, it’s also a slightly cheaper option than some of central London’s coworking clubs. Take a closer look at De Beauvoir Block. Always fancied working at Google? Well now you can. 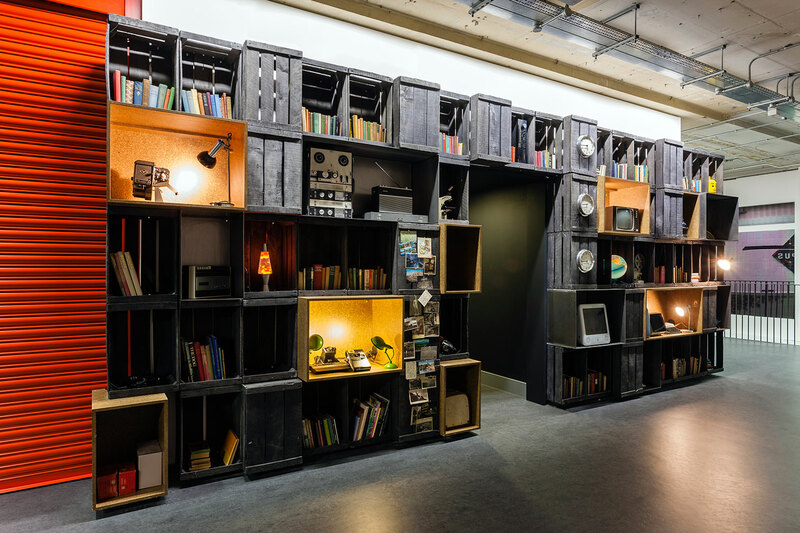 Google Campus might not have a slide but it offers co-working spaces designed by Jump Studios, equipped with a Lego-clad reception desk and an ‘inspiration wall’. Expert speakers, networking events and mentoring from Google staff help fledgling business grow. 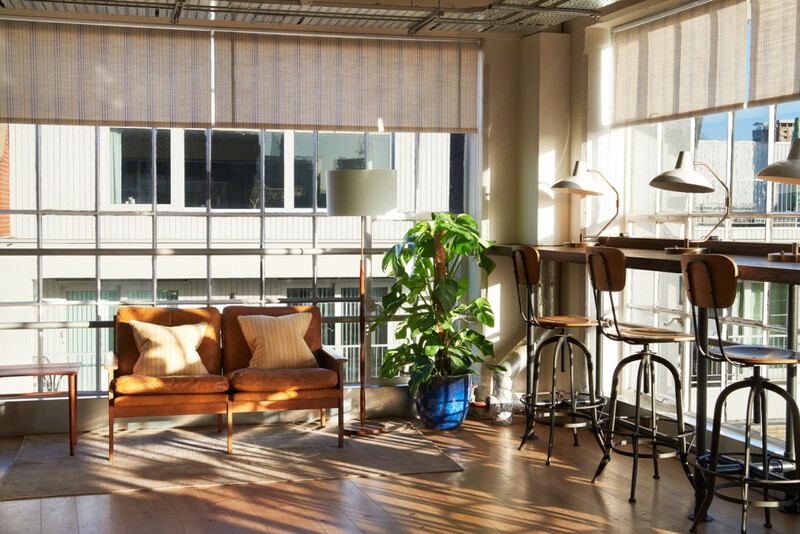 ‘Their offices are cool, but it’s also a place where you get stuff done,’ says one resident of Central Working, which now has seven London bases including a space on Clerkenwell Road. Collaboration is a big part of productivity, and networking is such an important element of this space that they’ll give you your money back if you don’t make a ‘meaningful connection’ in the first 30 days. 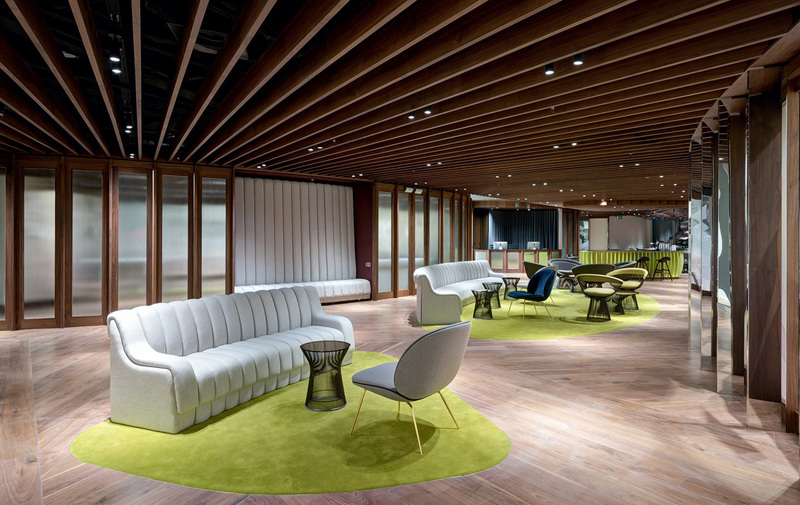 Coworking giant WeWork has 39 locations in the capital that are either open now or coming soon, but its London ventures started at Sea Containers house on the Southbank. A communal penthouse with views across the Thames, bicycle storage, showers and a pet-friendly policy all conspire to create a relaxed vibe that’s almost like working from home. 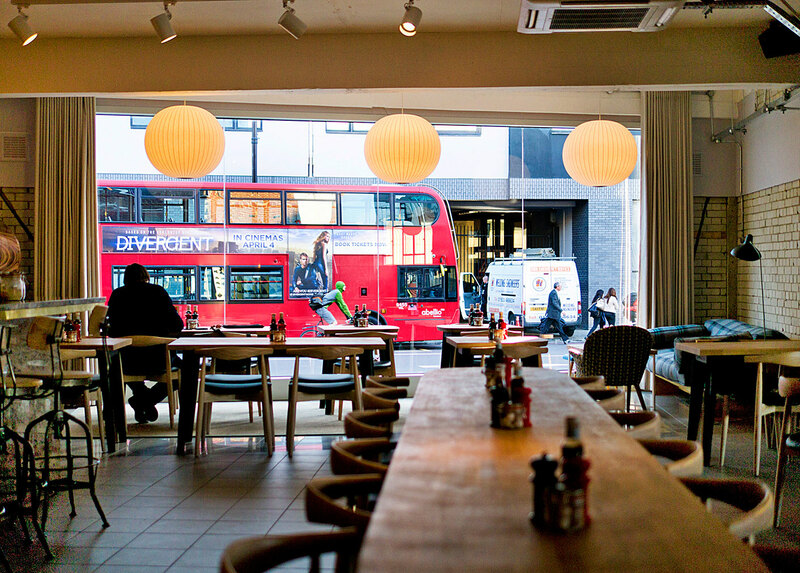 ‘Eating out at lunchtime is often where you have your best ideas as a team,’ says Forge & Co director Steve Beale. ‘In today’s “always on” culture, it’s important to get a change of atmosphere during the working day.’ Dining is at the heart of Forge & Co’s coworking spaces, which encourage people to reclaim the lunch hour by offering nourishing salads, pasta and grilled meat and fish. Makerversity at Somerset House is a London coworking space for designers, markers and start-ups. It includes access to all of the tools and machines (think 3D printers, CNC-cutters etc) you need to bring your ideas to life. Nearby Somerset House Studios also offers residencies to a curated selection of artists and makers.